Right off the bat I have to say this is my favourite ICO of 2018. Quantstamp is my pick of 2017. I’m not going to do an exhaustive review of Seele as I can point you to some which I have found extremely usefull. 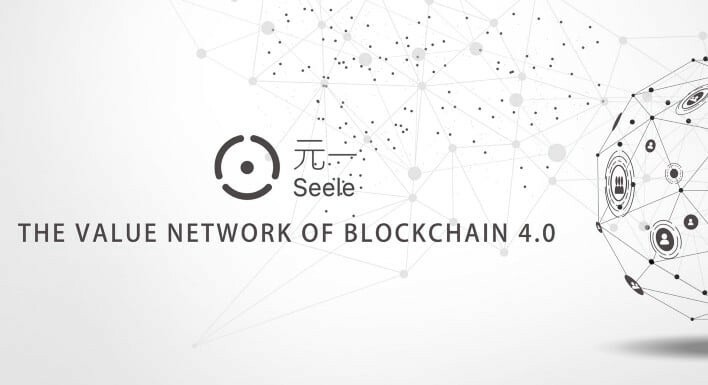 In a short paragraph Seele is is an up-scalable Neural Consensus protocol for high throughput facilitating multi-chain ecosystems. One of the most important features of the consensus algorithm is the linear scalability, that is, the performance increases linearly with the node size. The larger the node size, the faster convergence and the better performance. In the 100K node network environment, TPS reached 100K, the transaction confirmation delay decreased to several seconds. Main forms are multiple parallel chains, main/side chains and so on, which partially meet the diversified needs of the business. Heterogeneous forest network consists of different subnets, each subnet can be seen as a hierarchical partition tree, the top of the tree chain is a global service chain, called "Meta chain", which provides global configuration and scheduling service. Seele proposes the Value Transport Protocol (VTP) based on the heterogeneous forest network architecture. Quick Value Internet Connection(QVIC) protocol that better adapts to and meets the various needs that blockchain value networks face at the transport and application layers. Computing resource integration based on Seele defines a new type of technology that integrates off-chain storage and computational resources over blockchain and smart contracts. One of the most promising projects in a long time. In terms of its proposed consensus algorithm one of the most importnat features is the linear scalability, that is, the performance increases linearly with the node size. With larger the node sizes it will produce the faster convergence and better performance. In their recent tests TPS reached 100K, the transaction confirmation delay decreased to several seconds and according to Seele it can reach 1m TPS speeds. A new ε-differential agreement (EDA) based on “micro-real numbers” is propsed transforming the consensus problem into an asynchronous request processing and sorting of data in large-scale environment. This provides a very strong robustness for the overall connectivity of the network, for non-fully connected networks, and even each network connection is less than 50% of the proportion of the system can operate normally.